As promised, the ZTE Nubia Z5 was unveiled in China on Wednesday, and the big new Android smartphone looks like a winner right off the bat. Its previously rumored specs were not exaggerated, as the Nubia Z5 does indeed come in a 5-inch form with a Qualcomm 1.5GHz quad-core processor, full 1080p display, 2GB of memory, and 13MP/2MP cameras on the back and front, respectively. Wednesday's announcement also revealed that ZTE's Nubia Z5 will come packing 32GB of storage, Wi-Fi display and MHL output for displaying content on larger screens, and either Yamaha or Dolby Digital Plus sound output. Best of all, though, is the Nubia Z5's incredibly thin chassis - at just 7.6mm thick and weighing 126g, it's the slimmest 5-inch smartphone on the market. Like we ourselves did at Christmas dinner on Tuesday, the ZTE Nubia Z5 packs a lot in, despite its extremely thin 7.6mm frame. That includes a 2,300mAh batter in addition to everything mentioned above. The Nubia Z5 manages to compare favorably in size with Samsung's Galaxy Note II and Galaxy S3, while still sporting a gorgeous screen and powerful innards. It was even designed by Italian designer Stefano Giovannoni. 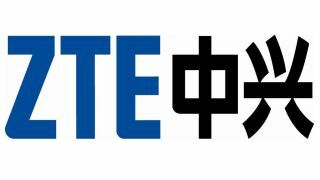 As Engadget pointed out on Wednesday, Nubia is a new division of Chinese company ZTE, so thus far it's impossible to guess when the Z5 will be made available internationally. In China, its cost ranges from ¥3,456 (US$554, UK£343, AU$535) to ¥7,890 (US$1,265, UK£785, AU$1,222) for the "titanium edition." When it does become available internationally, Engadget reported, it will be LTE-compatible (no surprise there). TechRadar will be on hand at CES 2013 to check out the ZTE Nubia Z5 if it does indeed make an appearance, so keep your eyes peeled as we head into the new year.